In this unique CD you can find the best of the very best Cuban songs! Such magnificent results could only be reached by the unique Manolo Vega in the ¨BEST OF CUBA¨. Most known songs, which have been interpreted by a great number of artists, as: Hasta siempre, 20 Anos, Guantanamera, Historia De Un Amor, Maria Cristina, orchestrated by Manolo Vega. Along with him, Aeroson in three songs recorded live in Cuba, transfer us to the aura of their country. 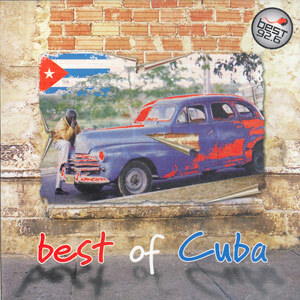 “Best of Cuba” is a CD, which proves that the cheerfulness, dance and rhythm are “all time classics”.